Australia says you can have cash, you just can’t use it. I’ve covered the war on cash extensively both in my books and newsletter writings. There’s a reason for this. The elimination of cash is not something that happens overnight. It happens step-by-step, bit-by-bit, so slowly that no one seems to notice until it’s too late. A good metaphor is a frog being cooked by a French chef. The frog is put in a pot of lukewarm water where it is entirely comfortable. The heat is applied and the water warms up very slowly, and the frog still rests comfortably. Sooner than later the water starts to boil, but by then the frog is paralyzed and soon it is cooked. The frog had plenty of time to jump out of the pot yet failed to do so because it was in a comfort zone and did not see what was happening with the flame. Gold disappeared in the same gradual way. In 1910, it was common to carry around some 22-carat English sovereign gold coins or U.S. $5.00 gold pieces (in quarter-ounce sizes). During World War I, the gold coins were retained by the banks and melted into 400-ounce bars. You could still own it, but no one carried it around because one bar was too heavy. Next, the gold bars were moved from private banks to central banks; then private ownership was banned completely. By then, citizens had grown to accept paper money and didn’t miss their gold. Next came digital money as credit cards, debit cards and online payments. Now comes the end of cash. You will soon be hostage to a digital money system controlled by banks and governments. They can freeze your money whenever they like. You’re like the frog in the pot. This article reports on a new twist. 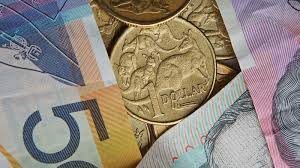 The Australian government is saying it’s OK to have cash… you just can’t spend it in amounts over $7,500. I keep reporting on this because cash will be abolished before you know it. Only awareness of this gradual abolition can save you. The best escape from the boiling pot is to go back to the future with physical gold or silver.